The Haryana state government has launched a new insurance scheme named Aam Aadmi Bima Yojana (AABY) for providing life insurance protection to people living below poverty line, marginally above poverty line and rural landless households. 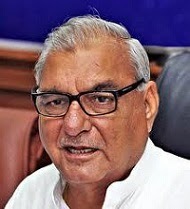 Although the decision to launch AABY had been taken by the Bhupinder Singh Hooda-led government at a cabinet meeting in May last year, but the implementation was in limbo as the finance department had maintained that the state already had Rajiv Gandhi Parivar Bima Yojna for the same purpose. AABY would provide an insurance cover of Rs 30,000 to the head of the family or an earning member of the family for natural death; whereas in case of death and permanent total disability in an accident, Rs 75,000 would be given to the diseased family. People between 18 to 59 years of age can enrol themselves to avail the benefits of this scheme. Premium amount for this scheme is Rs 200 per annum, of which 50% will be paid by the Centre government and remaining by the state government.